Happy Monday everyone! I hope you are starting your week off well. As you know, Easter is right around the corner. 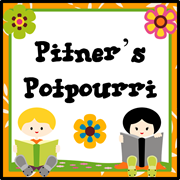 I blogged a few weeks ago about some Easter activities. I have two more for you! (And both are freebies.) I love a good sight word hunt. 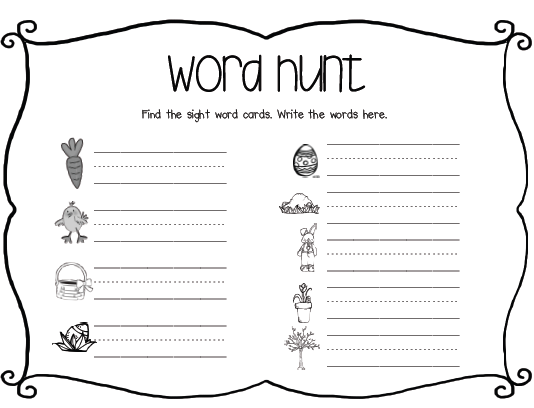 I use these sight word hunts in my literacy center packs for kindergarten, but I didn't include one in my April pack. So... I thought I'd make one to share with you all today. 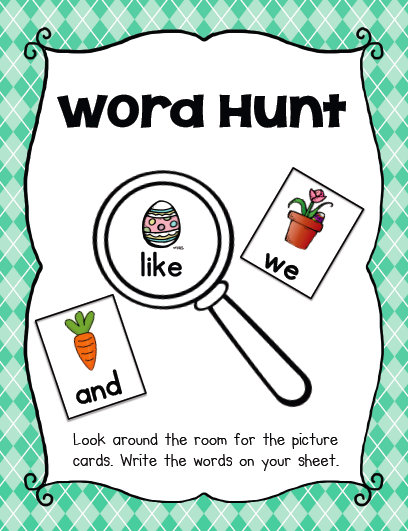 My students LOVE these sight word hunts, and so does my son. 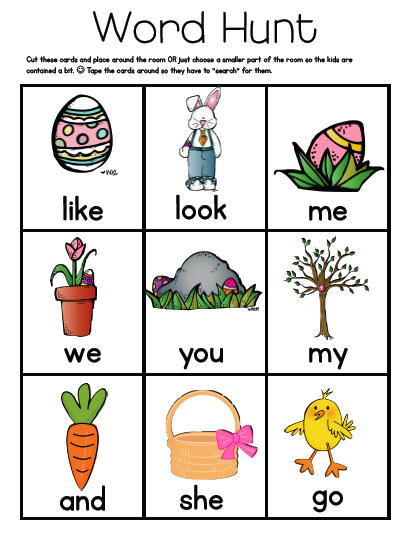 It's a great way to practice those tricky words! Cut out these cards and put them around the room. When your students find them, they read them and write them on their student sheet. Click on any picture to download. The other freebie is an oldie but a goodie. It's actually meant to be an at-home activity. It's a scavenger hunt for Easter morning. 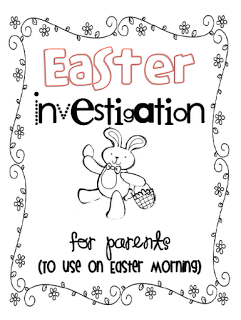 Kids will read the clues that lead them to their special Easter surprise (a book). 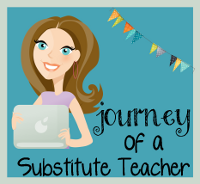 Click on the picture to go to the old blog post with this freebie. My kinders will love this hunting game! It is a favorite of my early finishers! Thank you for sharing your creativity!!! Absolutely perfect for first grade! Thank you!